Featuring button epaulettes, raw hemlines, functional pockets and convenient thumbholes, the Pocket Hoodie is a wardrobe hero that’s year-round, and indoor-outdoor appropriate. And because it’s bamboo, the jacket is even better at keeping you cozy: heat regulating, naturally breathable, and odor inhibiting. If yoga has a place in your fitness and well-being, our ultra soft Pocket Hoodie is a pre and after class cover-up that will take you pleasantly through the rest of your day with a level of comfort that’s second to none. Don’t let a drop in temperature dampen your weekend plans either, simply wrap up in this luxuriously cozy yet eminently practical Bamboo garment! You can’t go wrong – it’s stretchy, warm and always a good decision for sweat-wicking, anti-bacterial satisfaction. Get yourself one (or three!) of these hoodies and dial up the comfort for off duty days!! It’s the perfect wardrobe staple ideal for loafing and makes all-weather layering a breeze. 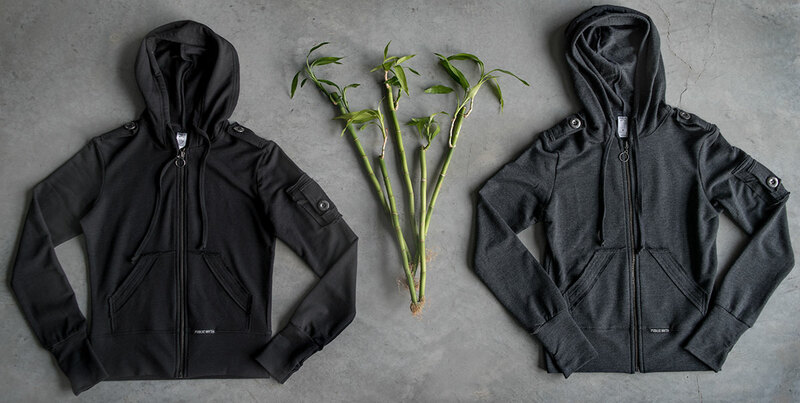 Shop the Bamboo Pocket Hoodie Here! !